Streetdirectory.com.my Business Finder provides Malaysia Restaurant products and services at our Malaysia Food & Beverages Directory. With over 150,000 registered businesses, we cover most of the services and businesses in KL, Penang, Johor and Malacca directories. 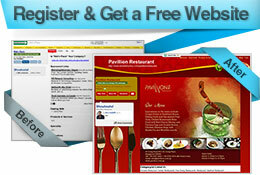 Provides Restaurant and Restaurant in our Restaurant and Food & Beverages directory easily. Also check out our Singapore Restaurant and Indonesia Restaurant for more products and services within the region. Caterer Dot Com Sdn. Bhd. Chatters' Kafe & Restoran Sdn. Bhd.